Located just outside the City of Oroville, the Oroville Dam is the highest dam in the United States towering 770 feet above the city. The lake is at an elevation of 900 feet with a total water surface area of 15,500 acres. It supports several great boat ramps, camping facilities and a full service marina. This is where Bare Bones fishes for the "Red Hot Coho Salmon" by mainly utilizing trolling and mooching techniques. 45 minutes north of Marysville at an elevation of 2000', this is prime Kokanee Salmon fishing and some early season Trout. Bullard's Bar has 2 paved boat ramps and a full service Marine. 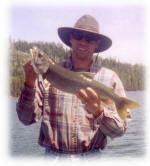 Best time for going after the Trout is February to April and then again in late November and December. 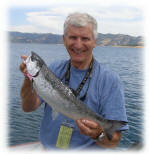 Kokanee fishing is best from May to August. Donner lake is located just off Interstate 80 before Truckee. The lake sits at an elevation of 5930 ft. and is approx 328 feet deep. 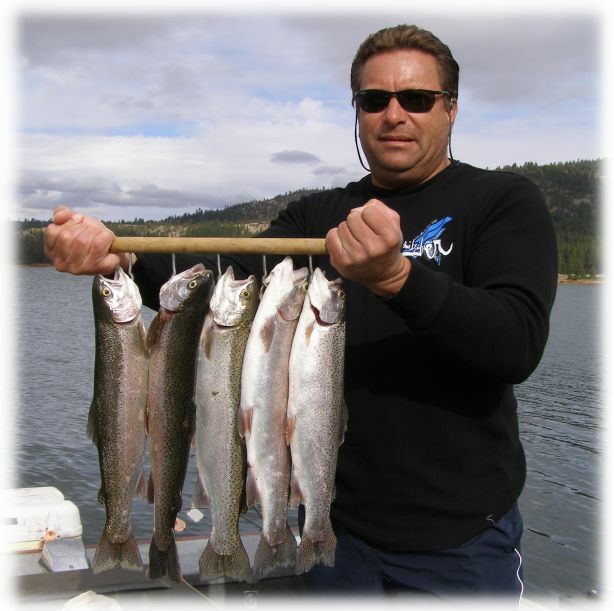 Donner Lake is known for big lake trout, rainbows, german browns as well as kokanee! Located at the base of the Sierra Buttes in the lakes basin off Hwy 49 at Bassetts or off Hwy 70 at Gray Eagle, it is the largest lake in that area sitting at the 6000' elevation. It is an absolutely beautiful glacial lake. It sports one improved launch ramp and has campgrounds. Rainbows and Lake Trout (Mackinaw) are that targets at Gold Lake. 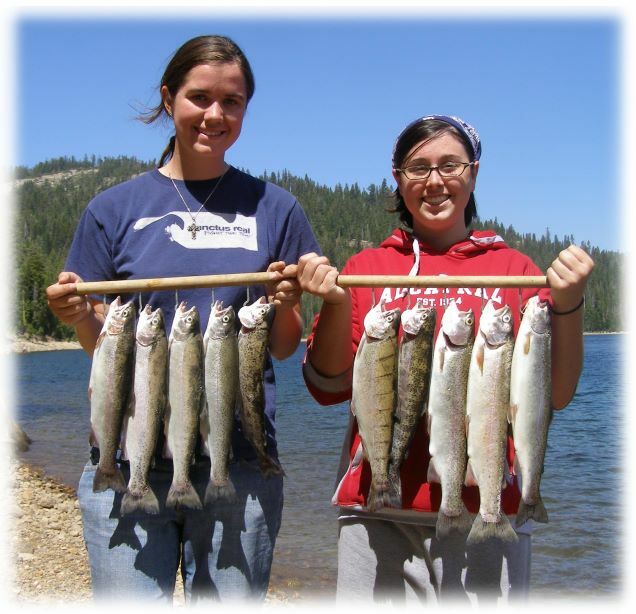 Located in the Plumas National Forrest 7 miles north of Portola, the lake is situated at an elevation of 5,775'. Total surface area is 4,026 acres and has 3 nice campgrounds and launch ramps. Davis Lake is prime Trout water. At an elevation of 6200', just outside Truckee off Hwy 89, this is Bare Bone's favorite lake for trout. Stampede Reservoir California sits at an elevation of 5,949 feet above sea level with 25 miles of shoreline, giving plenty of room for fishing and other outdoor recreational fun. It’s just a short trip from Lake Tahoe. 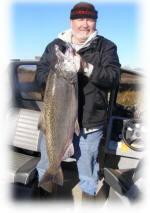 Salmon fishing takes place on the Feather River from Yuba City to Oroville and on the Sacramento River from Grimes to Woodson Bridge, but mostly at Woodson Bridge. 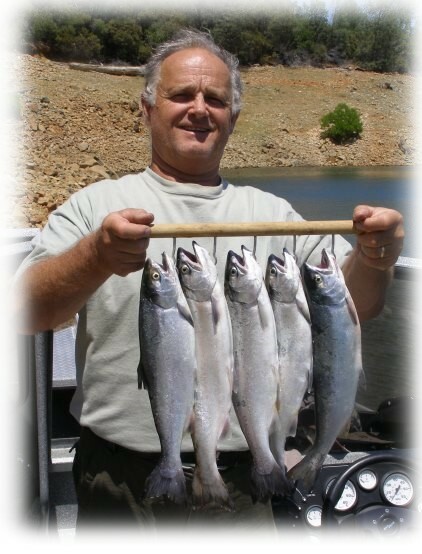 On the Feather River, the spring Salmon run starts moving in as early as May followed by the fall run in August to October. On the Sacramento River, the fish really start to move into the system in the month of September to the first of October, these are fall fish then we see the late fall fish at the end of November through December. These generally are the BIG BOYS, 30+ pounds. Bare Bones uses several techniques from working flat fish and Kiwkfish lures to using roe. Most of the Striper fishing occurs on the Sacramento River between Grimes and Colusa and on the Feather River from Verona to Yuba City. 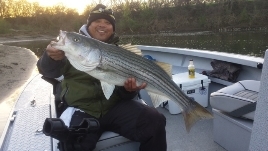 By the first of April the Stripers are well into their spawning migration up both rivers. The majority of the fish will make their way up the Sacramento River but on good water years we'll see really good numbers up the Feather River as well. The run generally peaks in May with good fishing well into June/July. 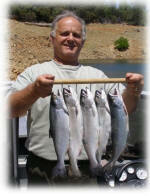 To catch these guys Bare Bones uses live and cut bait as well as lures. 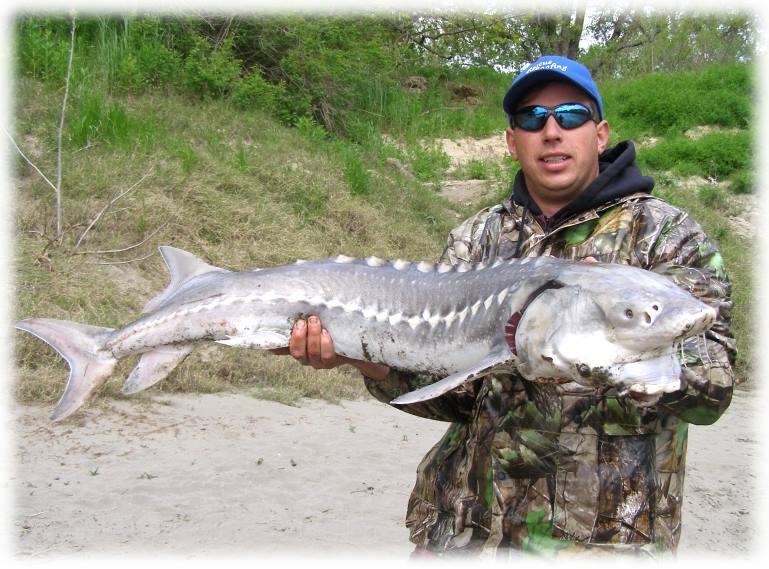 All of the Sturgeon fishing occurs on the Sacramento River from Verona to Colusa in March, April and May. The boat is limited to just 2anglers and most of the fishing occurs at night.. yes, that's right, Bare Bones will fish all night for these dinosaurs. Sturgeon start moving up the river in January to spawn...these are BIG fish, some going over 8' and several hundred pounds! Success rates vary widely. These trips are limited and fill up fast, so book your trip today!